Our maintenance services are intended to provide clients with a door that is up to standard in terms of both safety and functionality. The easiest way to do this is to perform a regular check up on doors which includes lubrication, minor repairs and sometimes even parts replacements. If one part of your door is worn down it’s best to get it replaced as soon as possible, so that no extra strain is placed on your remaining door features. That’s why we provide isolated services to replace cables or tracks if needed. A short maintenance session every year can easily extend the life of your door overall by ensuring small problems are caught before they become an issue. We can quickly replace worn parts and apply the necessary lubrication to ensure your door keeps serving you seamlessly. 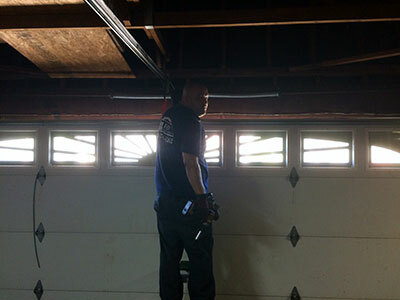 Schedule your appointment today for some much needed garage door maintenance!